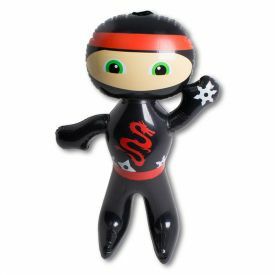 We love inflatable toys at KarateMart.com! They're light enough for the smallest kids to handle and are safe for all ages. We especially love to take them outside to play in the water with! 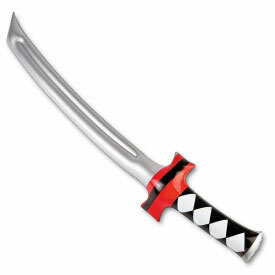 The inflatable swords and ninjas here are fun for everyone! Because of the low prices on these item's you can get multiples so everybody can have one of their own to play with. We think they make great toys on just by themselves; however, many people use them for prizes and decorations. In fact, if you seal up the air hole with a little silicone to stop those really slow leaks, most of these items will hold air indefinitely and can be used as decorations in kids rooms or play rooms! For safe fun that will keep the kids active, it's hard to do better than something like our Inflatable Punching Tower. Just fill 'er up and let the kids have at it. You'll get to relax and they'll use up their energy on this bouncy bag! As always, if you have any questions about one of our products, we are more than happy to help out. Just contact us with any question you have and we'll do our best to find an answer for you as quickly as possible.